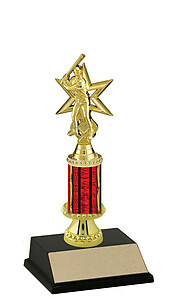 Baseball Trophies Baseball Trophies in various styles, sizes and prices. 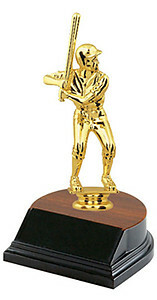 Are you shopping for a baseball trophy to present to your little league team, at a baseball tournament or year end awards? 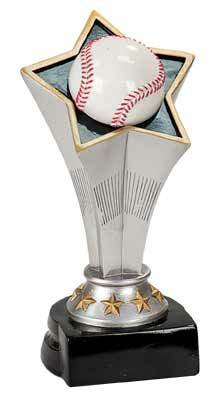 We suggest you check out our selection of Conventional Baseball Trophies, we offer many different styles, sizes and topper options. 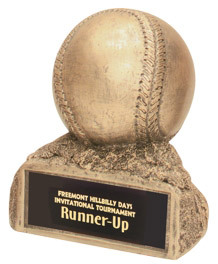 Are looking for a non - traditional baseball trophy? 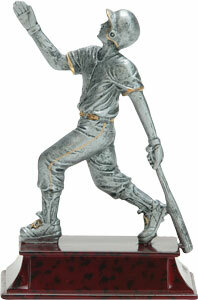 We offer a nice selection of Resin Baseball Trophies. 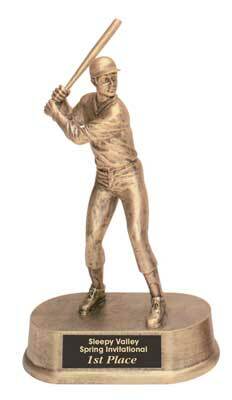 Both pitcher and hitter resin statues, plus gold and white color baseballs. 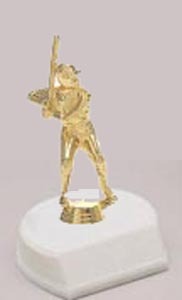 Accidents happen, if you have broken the baseball topper on your trophy you may purchase a replacement at our Baseball Trophy Toppers page. 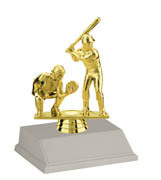 All of our Baseball Trophies come with 40 characters of free engraving. 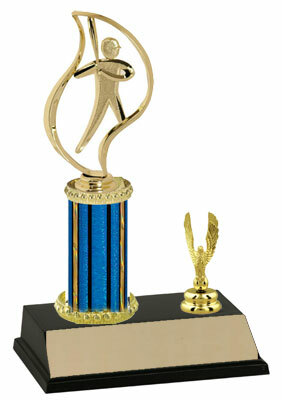 If you have any questions about purchasing baseball trophies. Please call 1-800-787-8777 or send an email. 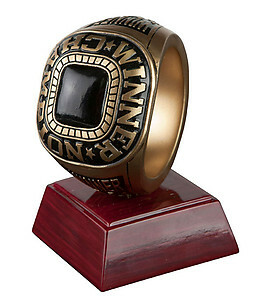 We hope you enjoy your visit and come back often as we continue to update our baseball trophy pages. 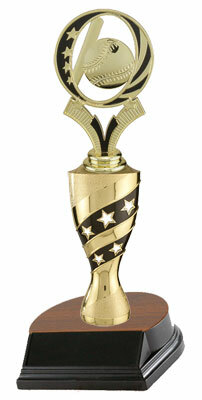 24 to 36 inches tall. 24 to 48 inches tall. 24 to 60 inches tall. 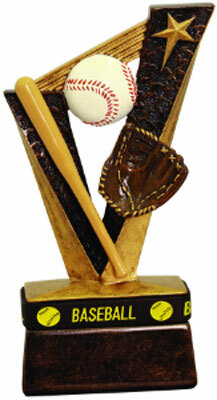 Large Resin Baseball Glove on a cup base. 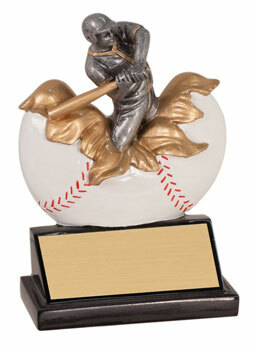 Small Resin Baseball Glove on rb08 base. 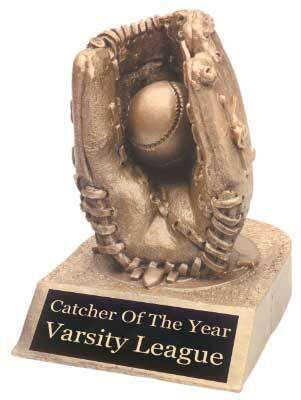 Smaller Resin Baseball Glove on a cup base.